The box of persimmons of 16 kg that we offer from the field to house, is characterized to be cultivated in a special climate like the one of Valencia, freshly caught and in the point of maturation that must have. 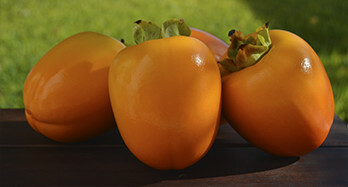 Persimmon is a boneless fruit and easy to eat, usually used for dessert without any treatment, but in the gourmet kitchen is being used for salads. Persimon Khaki is gaining followers because of its antioxidant properties, and its collection period may vary depending on the weather, from October to the end of December.